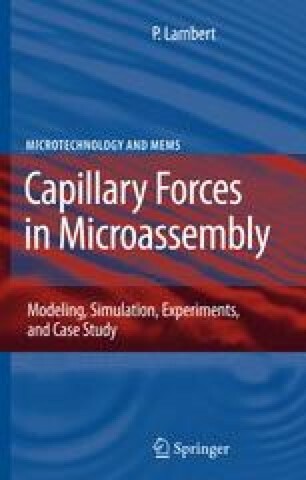 This appendix aims at detailing the mathematical developments required to calculate the analytical approximations of the capillary forces, based on energetic approach (Chap. 7), and to establish the expression of the interfacial energies (L–V and total energies) used in Chap. 13 to study the rupture conditions and the related volume repartition. It also illustrates the relation between the capillary force and the interfacial energy, to illustrate the correctness of the interfacial energy expression we used in this appendix.